SRI LANKA - Haldummulla – Wa Eliya – Hunugalaagala cave - During recent excavations in the Haldummulla – Wa Eliya – Hunugalaagala cave, fragments of female sculptures have been discovered and parts of grinding instruments were also unearthed. Based on the artifacts unearthed Prof. Somadeva believes that this cave may have been used approximately 5000 years ago as a place of worship to bless pregnant mothers. Prof. Somadeva believes that this is a significant piece of evidence in the transition of the native people from being hunter gatherers to those who believe in the supernatural. 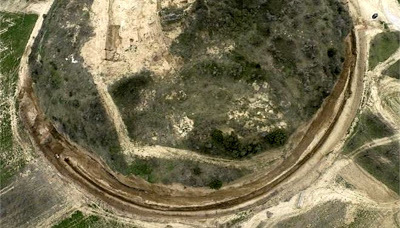 GRECE – Amphipolis - Greece's Culture Ministry has warned against "overbold" speculation that an ancient artificial mound being excavated could contain a royal Macedonian grave or even Alexander the Great. Site archaeologist Aikaterini Peristeri has voiced hopes of finding "a significant individual or individuals" within. Greek websites enthused that it could hold the long-sought grave of 4th-century B.C. warrior-king Alexander the Great — thought to lie in Egypt. A Culture Ministry statement Thursday said the partly-excavated mound has yielded a "very remarkable" marble-faced wall from the late 4th century B.C. It is an impressive 500 meters (yards) long and three meters high. But the ministry warned it would be "overbold" to link the site near ancient Amphipolis, 370 miles (600 kilometers) north of Athens, with "historic personages" before the excavation is completed. GRECE - Santorin - According to a new study of insect pests found in an ancient storage vessel on Santorini, the volcanic eruption which ended the Minoan civilization took place sometime between June to early July, around 1600 BC. The study titled “Ancient pests: the season of the Santorini Minoan volcanic eruption and a date from insect chitin” was published in a recent issue of Naturwissenschaften and signed by Eva Panagiotakopulu, Thomas Highham, Anaya Sarpaki, Paul Buckland and Christos Dumas. As written in the abstract of the paper: “Attributing a season and a date to the volcanic eruption of Santorini in the Aegean has become possible by using preserved remains of the bean weevil, Bruchus rufipes, pests of pulses, from the storage jars of the West House, in the Bronze Age settlement at Akrotiri. ”We have applied an improved pre-treatment methodology for dating the charred insects, and this provides a date of 1744–1538 BC. This date is within the range of others obtained from pulses from the same context and confirms the utility of chitin [protein that makes up the insects' shells] as a dating material. Based on the nature of the insect material and the life cycle of the species involved, we argue for a summer eruption, which took place after harvest, shortly after this material was transported into the West House storeroom”. 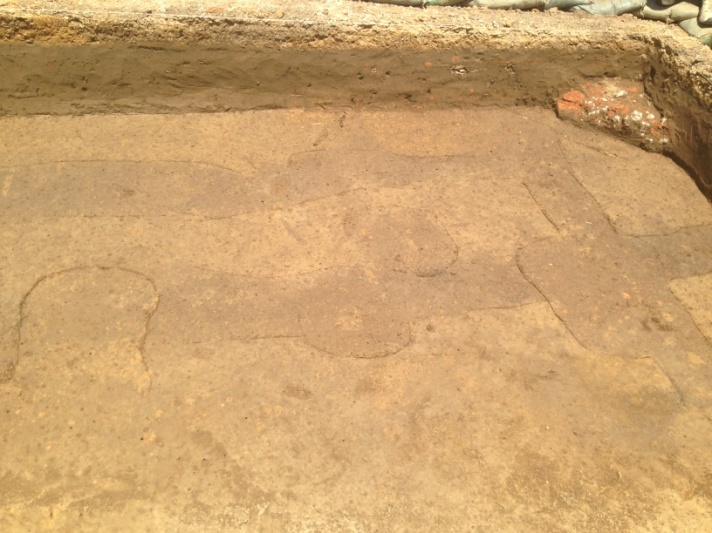 USA – Jamestown - Traces of ten furrows have been discovered at the site of James Fort, built by English settlers in 1607. The furrows were found under a wall that was built in 1608 to extend the structure, so archaeologists think they were dug soon after the colonists’ arrival. Without the help of animals for farming, the labor-intensive rows were hoed by hand. “That system of farming with bending over and hoeing up the ground dominates the Virginia landscape for centuries,” said archaeologist David Givens of Jamestown Rediscovery. Soil samples will be tested to see what crops were grown in the furrows.